The ix35 is the bigger, crossover version of the i30. A fine vehicle, it is in direct competition with the likes of the Nissan Qashqai. The styling is distinctive, and it has a commanding road presence. Inside the cabin is well thought out with seating at the front and back really comfortable. There is plenty of leg/head room, and the dashboard has lots of gadgets and is smartly laid out. The boot has plenty of room, and you can fold the rear seats flat for added practicality. 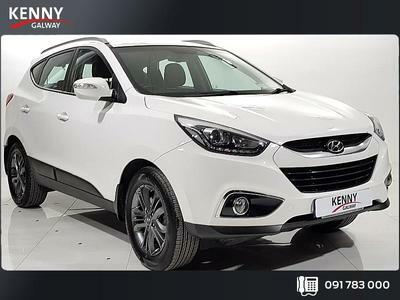 The ix35 has a smooth and comfortable ride, the steering and handling are good and the driving position is spot on. The general performance can vary, depending on the engine you choose. They are fairly reasonable to keep on the road with impressive fuel economy and low motor tax thanks to low CO2 emissions.